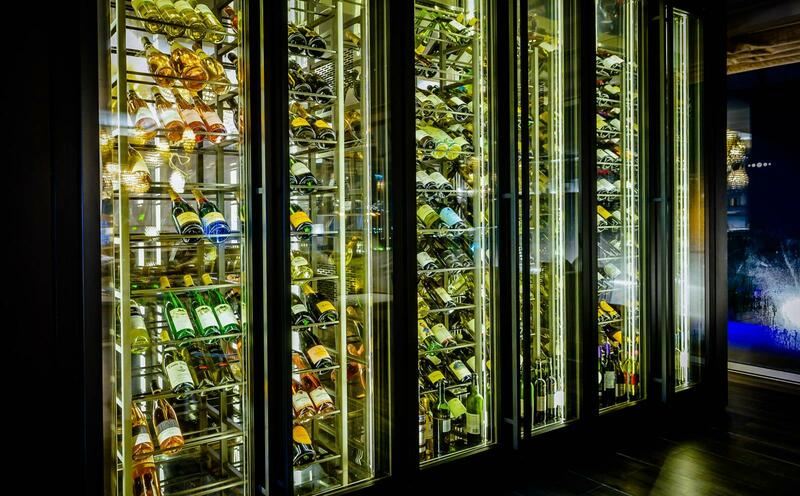 What a bizarre occurrence is to produce some more wine chillers for the Grosvenor House Dubai! 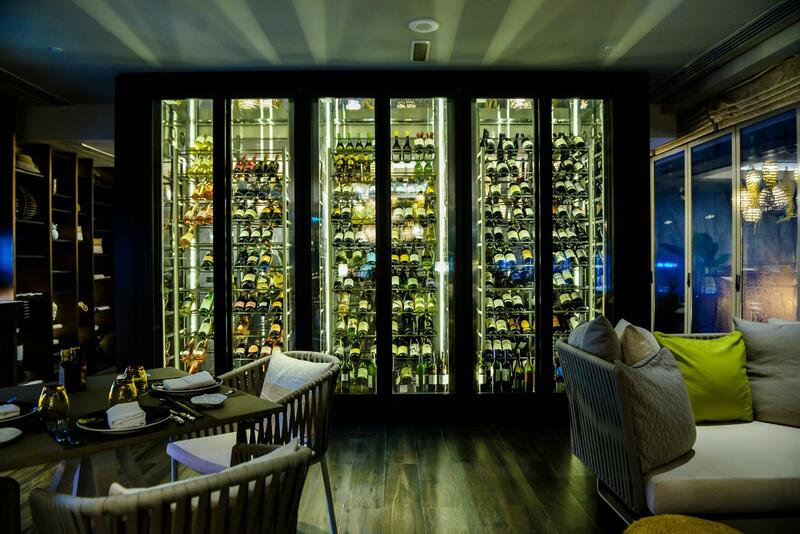 The first supply of bespoke IGLU refrigeration to Grosvenor House Dubai happened a few years ago for Buddha Bar. 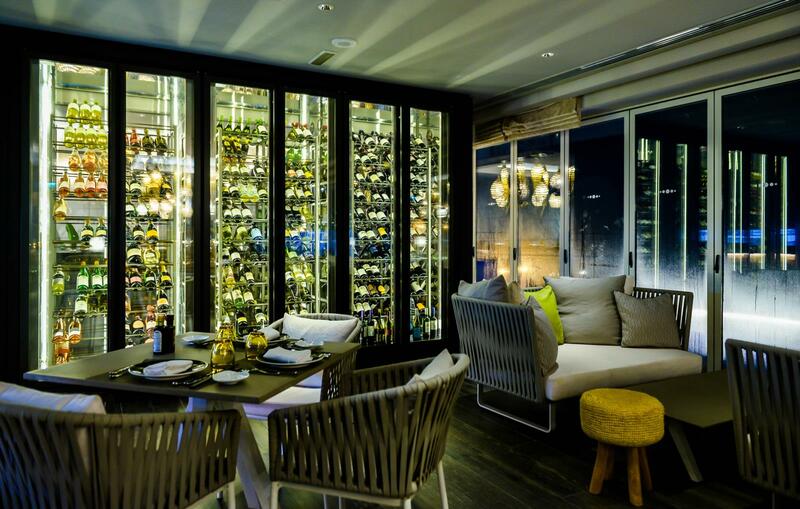 This year, IGLU has been chosen again to design and manufacture a full line of Mirabilia Bespoke wine units for the Siddartha Lounge Restaurant by Buddha Bar, the new iconic restaurant within the Grosvenor House Dubai with an incredible 360-degree view of Dubai Marina, The Palm Jumeirah and onwards to the Arabian Gulf. 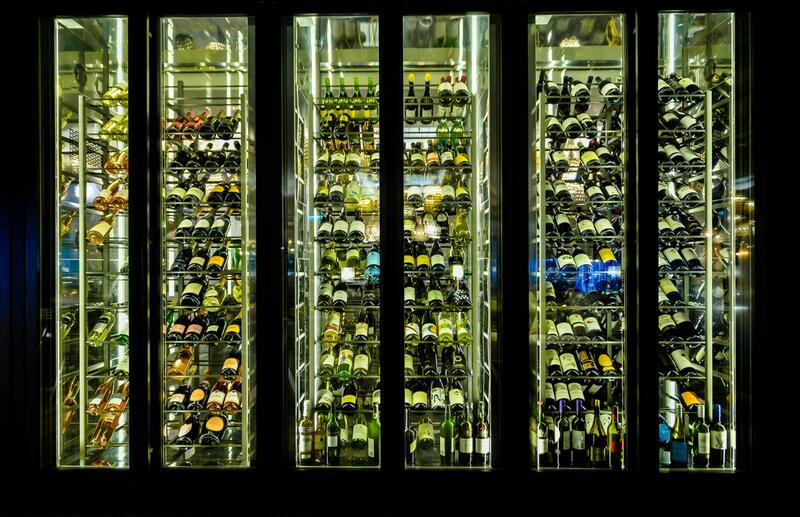 The bespoke composition of wine refrigerators is made of 3 units 2500 mm height and each of them has 2 glass doors for a total length of 3600 mm. The choice of stainless steel construction, painted in grey matt RAL 7022 on the exterior of the units, combined with very linear handles, are perfect to complement the relaxing mood of the venue. Technical features requested by the client, such as the remote Wi-Fi router controller, were incorporated in our touch screen thermostat, which sets temperatures, operates locks and regulates the display lighting. In terms of storage capacity, the internal space is well planned. The 528 wine bottles fitting the units have an inclined layout, to allow a better view on the labels: a sign that cabinets will be treasuring premium quality wines that deserve visibility. This installation is now completed and we are happy to share some pictures. 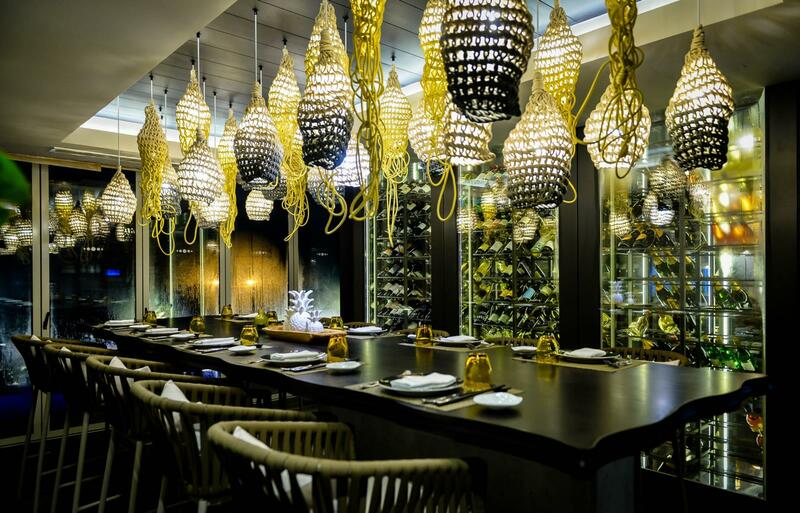 Photo courtesy of Siddartha Lounge at Grosvenor House Dubai, Buddha Bar.